We regret to inform you of the death of Retired TFC Robert L. Rose on September 19, 2014. We apologize for the late notification however, we just learned of his passing. Our thoughts and prayers are with Bob’s family and friends at this difficult time. The following obituary information has been reprinted from the Herald Mail. Robert "Bob" L. Rose, 67, of McClellan Avenue in Boonsboro, Md., passed away Friday, Sept. 19, 2014, at his home with family, while under hospice care. Robert was born Aug. 23, 1947, in Johnstown, Pa. He was one of three sons of the late Marlin and Mildred (Kleve) Rose. 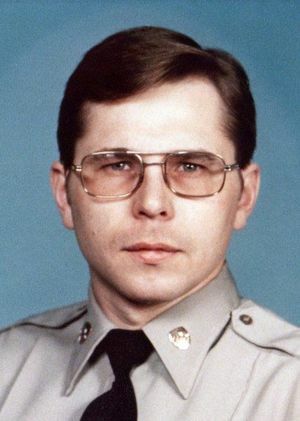 Robert was a U.S. Army veteran and a graduate of Grace College in Indiana, Multnomah University in Oregon and the Maryland State Police Academy. Robert first came to Maryland to work as a teacher at Frederick Christian Academy, where he taught history. While in Frederick, he also sold insurance for some time, but later found his calling as a Maryland State Trooper and moved to Boonsboro, where he started his family. After 28 years of service, Robert retired at 60, after which he continued working as a highway vehicle inspector until 2013. During his career, he was awarded two superintendent commendations, and spent most of his time dedicated to truck enforcement and accident reconstruction. Robert loved hunting and fishing, and was an avid outdoorsman. He spent many years involved with the Boy Scouts of America, and was a certified canoeing and swimming instructor. Robert enjoyed working in his garage, dancing, playing backyard sports and cards. He loved music, especially bluegrass, and he played the guitar and piano. He is survived by his son, Robert M. Rose of Chambersburg, Pa.; and his daughter, Jessica Rose of Hagerstown, Md. ; brothers, Marlin Rose of The Dalles, Ore., and David Rose of Ligonier, Pa.; several nieces and nephews; and beloved cat and companion, Boots.